Medicine Gets Personal – But How Do VCs Make Money? Boston Biotech Watch has been keeping a close eye on three big trends and their impact on VC deal-making: real-world applications of genetic data, personalized medicine and health care reform. Can startups use genetic data to drive down drug costs? To what extent will genetics become the high-value gatekeeper for future pharma industry success? And will VCs be able to exit from companies in this sector quickly enough to reap outsized returns? Judging from the VC activity in the space, some venture investors apparently think that strong exits are likely. What a radical departure! Right up until the early years of this decade, “diagnostics” was a dirty word in biotech venture circles. Most diagnostics deals smelled bad to most VCs whether the deals were sample-prep focused (like Cytyc, which was a massive success) or cancer biomarker repositories like DiaDexus, a high-profile joint venture between SmithKline Beecham and Incyte that raised $102.5 million in 2000, is still privately held and, despite one commercial test for coronary disease that finally achieved Medicare reimbursement in 2007, does not appear to have provided much – if any – of a VC return. It has long been a VC maxim that “you could wait forever for the US health care system to move in a more rational direction” and that therefore VCs had to do deals that were consistent with the existing models no matter how broken these models were. Cynicism was rewarded, idealism punished. Yet suddenly the United States appears to be on the verge of the largest health care reform (HCR) in its history and, perhaps not surprisingly, what feels like dozens of deals related to diagnostics, genetics and HCR have begun to materialize. The deals reflect many different ways of looking at the personalized medicine opportunity (see Tables 1 and 2). (3) To hold up one recent high-profile deal, Generation Health, as the sort that other investors were clamoring (mostly without success) to get into. Just judging by the attendance at this high-quality conference, put on annually by the Partners HealthCare Center for Personalized Genetic Medicine (PCPGM) as well as Harvard Business School (HBS), the field is gaining momentum. More than 600 participants registered, compared to just 237 at the inaugural conference in 2005. Our breakdown of VC deals in the personalized medicine space follows in Tables 1 and 2 below. Why are VCs convinced – despite such a negative history for investing in diagnostics – that personalized medicine is where the big money will be? 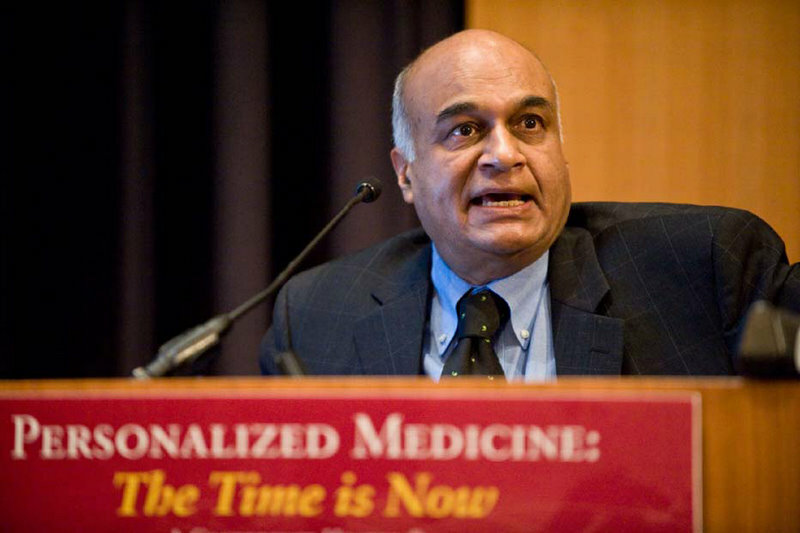 Try “tenfold growth,” a squishy yet thought-provoking projection included in the December, 2009, report entitled “The New Science of Personalized Medicine” by PriceWaterhouseCoopers (PWC). Even allowing for the typical hyperbole associated with such reports, there is apparently more money than ever to be made from genetics, genomics, diagnostics, theranostics and related technologies. San Francisco-based venture capitalist Dion Madsen, a Managing Director at Physic Ventures, affirmed the newfound VC enthusiasm for personalized medicine when Boston Biotech Watch paid him a December visit. Physic is one of many VCs looking hard at the diagnostics space and one of the few to have diagnostics as a mandate. The firm’s tagline is “Investing in Keeping People Healthy.” So Madsen is an especially apt guide to the promise and the pitfalls of the space. Behind the big numbers is a firm conviction that payers in the US healthcare system (insurers and government programs like Medicare) will actually come to rely upon and reward molecular and scientific information instead of simply succumbing to ever more expensive marketing campaigns by pharmaceutical, biotech and medical device companies. If I take them all, will they cancel each other out? Genomic Health: A Pioneer, Yes, But a Replicable One? called OncotypeDX for guiding breast cancer therapy – now earns more than $140 million in annual revenue. It helps physicians choose treatments that are on the extreme end of the cost spectrum – a $3,500 test that can allow patients – and payers – to avoid bills of $30,000 or more for chemotherapy. That value proposition – along with Genomic Health’s compelling retrospective data – convinced Medicare and other insurers to agree to reimburse the test beginning in January, 2006. Genomic Health was a Kleiner Perkins deal and the other two “DX” companies in which Kleiner invested, CardioDx (founded 2004) and XDx (2000), have apparently not made it to big revenues or VC exits nearly so quickly. Indeed, both are still privately held. 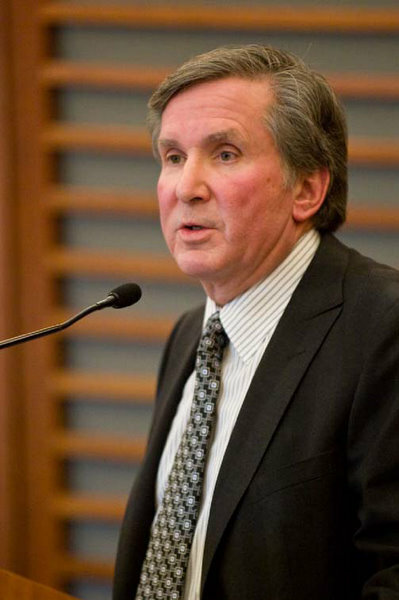 One East Coast VC to whom Boston Biotech Watch spoke said, “Yes, CardioDx has found a potentially relevant market opportunity, but they had to do a 4,000-patient study.” CardioDx is reported to be raising money at a lofty valuation. Among the still-private companies identified in the CBT Advisors screen (see Table 2 for examples), several are looking for ways to capture content and use it to provide immediate value to patients and payers. We consider these the “content” companies. Genomic Health, CardioDx and XDx all fall into this category. These companies run the gamut of indications, with existing plays in cancer (many including Genomic Health, Genomic Vision, Precision Therapeutics, Claros, MTM Labs and On-Q-Ity, which will be discussed further along in this post); cardiovascular disease (CardioDx, XDx), rheumatology and inflammation (Crescendo), diabetes (Tethys) and the ever-popular (and close-to-market) infectious disease, particularly point-of-care tests for nosocomial infections (Opgen, Progentech, Curetis, AdvanDx). Another group has developed a proprietary technology that either grabs the content (e.g. the microfluidics of Artemis Health, a prenatal diagnostics company) or that prepares it for analysis (Handylab, acquired in October by Becton Dickinson for a reported $275 million). Some technologies do both (T2 Biosystems, a Boston-area Polaris investment based on technology from the prolific Robert Langer lab at MIT). We consider these to be “box” or “sample prep” companies although some of course are also offering unique content. Recently Physic Ventures acted on its strategy and put its money into a Boston-area diagnostics startup, On-Q-Ity, that meets all four criteria. Like Genomic Health, On-Q-Ity (from Oncology + Quality + Clarity) will provide actionable information in the form of decision support to physicians treating cancer patients. . The validated science consists of (1) biomarkers found in tumor cells that determine their level of progression and therefore the advisability of treating patients at a particular moment; and (2) assays that determine susceptibility to specific chemotherapeutic agents based on mutations in the genes involved in DNA repair. As with the “box+content” companies, On-Q-Ity not only has the rights to these biomarkers and mutation assays but also a proprietary microfluidics technology that is able in principle to pluck circulating tumor cells out of the bloodstream even when these cells are quite rare. The company then applies the two technologies, yielding an unprecedented snapshot of both “treatment response and tumor cell composition … at a molecular level,” Madsen said. Both cost-effectiveness and clinical validity will have to be determined by clinical trial, presumably done prospectively. On-Q-Ity’s management is something of a dream team. The CEO, Mara Aspinall, was the long-time president of Genzyme’s genetic testing division, which under her leadership developed and commercialized many new tests. Aspinall, who is also on the board of one of Massachusetts’ largest health insurers (Blue Cross Blue Shield of Massachusetts) has about the best track record imaginable for a genetic testing company CEO. In her spare time, she serves as a lecturer in health care policy at Harvard Business School. In our view, On-Q-Ity scores highest on the first criterion, actionability. As we will address again when we get to Generation Health, oncology diagnostics are already high-value due to the high cost of treatment. 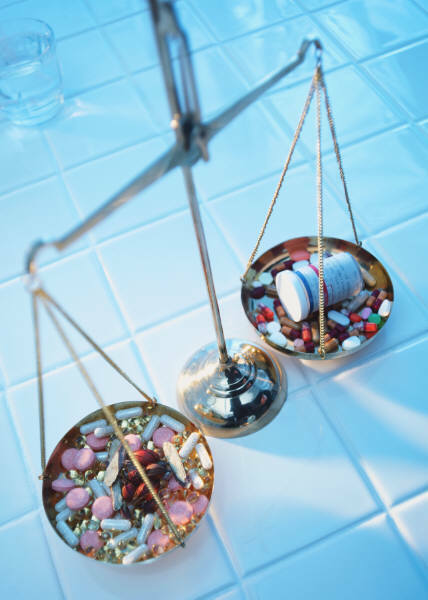 In an article on personalized medicine published in 2007 by Aspinall and her HBS colleague Richard Hamermesh, she identified five cancer indications (pancreatic, liver and so on) in which patients typically have low one-year survival and therefore “do not have time to spare” for traditional, “trial-and-error” medicine. 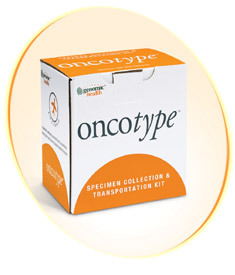 If On-Q-Ity can use biomarkers to inform physicians when to treat aggressively or even which chemotherapeutic agents to deploy, then its tests will undoubtedly be reimbursed at or perhaps even above the levels seen for OncotypeDX. Even when a company meets all of Physic’s criteria, the road may still be uncomfortably long. After all, these companies – like CardioDx and its 4,000-patient study, not to mention DiaDexus and its single approved test – are all attempting to achieve validation under the “old” criteria. How soon can HCR change that? seemed to be the darling of the Personalized Medicine Conference and VC firms have been “pounding down the doors” to get in, according to a couple of top-tier VCs (the only announced VC investor is Highland, which made a first institutional investment in the company in 2008, though rumor has it that a second Boston-area fund has joined the syndicate). •	Identify patients who would benefit from testing through analysis of medical and pharmacy claims. These activities would make GenHealth a “filter” for insurance companies and employers. Madsen dubbed them “the “Consumer Reports of Genetics” – a company perceived to be a fair arbiter of the value of genetic tests. “We’ve seen other companies such as DNA Direct do this for HMOs and payers including some we know very well,” Madsen said. “But no other company can do it to the extent that Generation Health would. GenHealth will have better decision-making data,” presumably from aggregating anonymized data across insurers or analyzing claims. In November, 2009, GenHealth signed its first public collaboration with CVS Caremark, a pharmacy benefit manager that already has a pharmacogenomics program. (No surprise about the identity of the first deal partner – CVS Caremark’s Chief Medical Officer Troyen Brennan sits on GenHealth’s board). What gets VCs excited about GenHealth is its ability not only to take advantage of HCR but to actually participate in it by driving down health care costs and increasing use of gatekeeping genetic tests. GenHealth styles itself a “Genetic Benefit Manager [GBM],” analogous to the Pharmacy Benefit Managers (“PBMs”) Medco and the like – a company where GenHealth founding CEO Per Lofberg served as chairman from 1993 to 2000. The discussion about GenHealth’s business stimulated one of the more interesting exchanges of the conference. PCPGM founder and conference organizer Raju Kucherlapati asked CVS Caremark’s Brennan exactly how many tests CVS Caremark is already reimbursing for or including in its decision-making process about providing pharmacy benefits. Brennen did not answer the question, but he did say that the first inroads are in “high-cost disease.” If a treatment costs $100,000 a patient, for example, and a test costs $1,000, even one patient being safely spared the treatment more than pays for the cost of the test for many patients. “Right now [our testing] is limited to a series of cancer diagnostics,” said Brennen. “Like most PBMs, we operate a specialty pharmacy with high-cost medications and that is where we do the most genetic testing,” he added. In the non-specialty areas, there is not yet “reasonable evidence” for incorporating it into practice, although testing is more prevalent there than it was five years ago. However, the amount spent on testing is expected to grow quickly, he said, because “at Caremark, we will be leaders in cost reduction. That is why it is important for us to incorporate genetic tests. We want to stay away from provider-driven modes,” that is, to pay for care that matters to the patient. Meanwhile, new genetic tests keep pouring in to payers at a rate of what feels like “100 a week,” said Madsen. Each new test faces the traditional gauntlet of long-term, prospective studies before it can start making investors money. So not only are new tests needed but also, as Aspinall and Hamermesh described in their 2007 article, better regulatory and reimbursement regimes. Until these key pieces are in place, most VC deals in the space will be vulnerable to the cash and momentum drain of drawn-out prospective testing. Disclaimer: CBT Advisors has worked with Precision Therapeutics and Genomic Vision. When he was a venture capitalist, Steve Dickman was part of a team that invested in Precision Therapeutics.